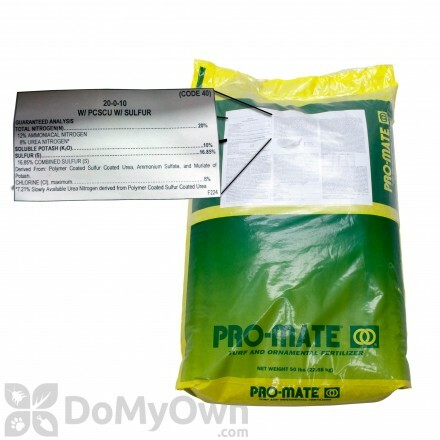 Prodamine is an active ingredient labeled for use as a pre-emergent weed preventer. Prodiamine is often applied in the spring to prevent and control crabgrass and other broadleaf weeds in turf and lawns. A professional pre-emergent herbicide for grassy and broad-leaf weeds for golf course fairways and commercial sod farms. A professional selective pre-emergent herbicide on cool and warm-season grasses for golf courses, sod farms and commercial ornamentals. A selective pre-emergent and post-emergent herbicide for annual grasses and broad-leaf weed control in cool & warm-season grasses. A professional selective pre-emergent herbicide that prevents broad-leaf weeds and fertilizes commercial cool & warm-season turf including golf courses. A professional selective pre-emergent herbicide to prevent annual grasses and broad-leaf weeds and a fertilizer for cool & warm-season grasses. A professional selective pre-emergent herbicide for annual grasses and broad-leaf weeds that will last all season with one application. A professional selective pre-emegent herbicide that controls grassy and broad-leaf weeds in cool & warm-season turf for golf courses, sod farms and tree plantations. A professional dual mode action selective pre-emergent and post-emergent control of crabgrass, broad-leaf, annual grass, sedges in cool & warm-season grasses. Combination turfgrass fertilizer and weed prevention herbicide. Comes in a 50 lb bag. A professional selective pre-emergent herbicide that controls grasses and broad-leaf weeds in cool & warm-season turf for golf courses, sod and ornamental nurseries. 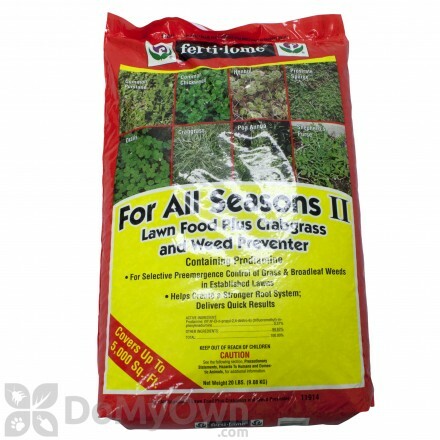 A post & pre-emergent herbicide that kills and prevents broad-leaf and grassy weeds on home lawns. A non-selective pre-emergent and post-emergent herbicide that controls annual and perennial broad-leaf and grassy weeds. A ready-to-spray selective herbicide that provides pre and post-emergent control of goosegrass, nutgrass (and all sedges), crabgrass, foxtail, and other grassy type weeds. A professional selective pre-emergent herbicide that controls annual grasses and broad-leaf weeds in field and container ornamental nurseries, Christmas tree and conifer farms. Combination of selective preemergent herbicides for the the control of over 120 listed grass and broadleaf weeds. Comes in 50 lb bag of granules. 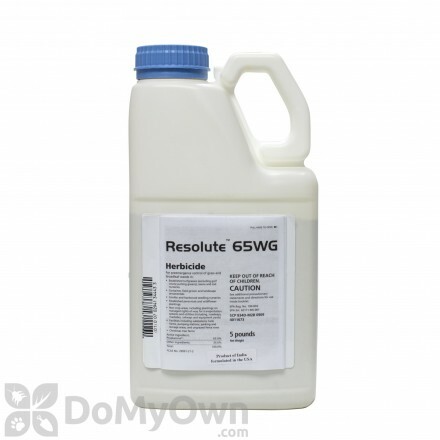 A herbicide formulated for pre-emergence as residual control of many broadleaf weeds. Compares to Barricade 4L. A professional herbicide that controls broadleaf weeds in lawns, sod farms, established turfgrasses, and non-crop areas by preventing root development and seed germination. 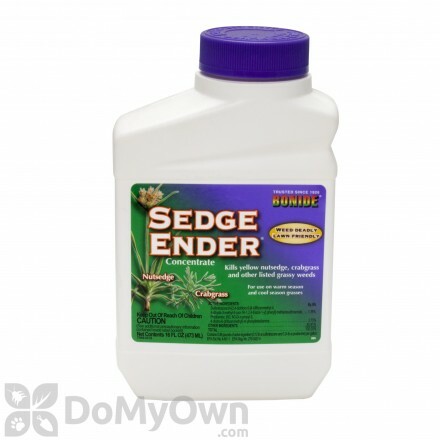 A professional pre-emergent and post-emergent herbicide that controls weed and grasses for 3 to 6 months. 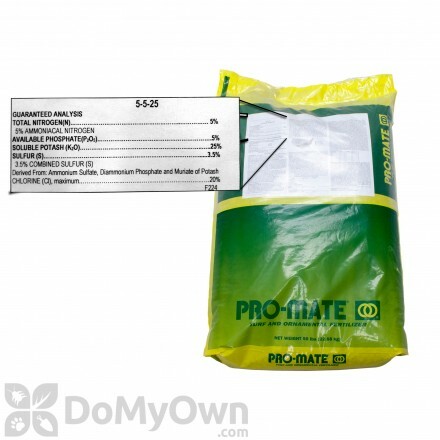 Prodiamine is the active ingredient found in the popular herbicide Barricade and other lawn and garden products, such as Prodiamine 65 WDG (Generic Barricade). It is labeled as a pre-emergent herbicide for the control of broadleaf weed and a number of undesirable grasses including spurge, bluegrass and witchgrass. It is important to make the distinction that pre-emergent herbicides, like prodiamine, do not destroy weeds entirely but rather prevent growth. That is why you must apply pre-emergent herbicides annually to retain desired results. Prodiamine inihibits plant cell growth so that weeds are unable to grow. Prodiamine is registered for commercial use to control weeds in nurseries, landscaping, turf farms, Christmas tree farms, golf courses, and more. Prodiamine can also be safely used on certain types of desirable grasses without harming them, such as Bermudagrass, Fescue, St. Augustine and common turf grasses. Prodiamine is toxic to fish, but non-toxic to birds. The applicator should exercise care not to accidentally spray outside the target area or near water sources as this chemical will contaminate ground and surface water. Prodiamine can be harmful if inhaled or absorbed through the skin. Always follow product labels and wear appropriate clothing when applying this prodiamine products. 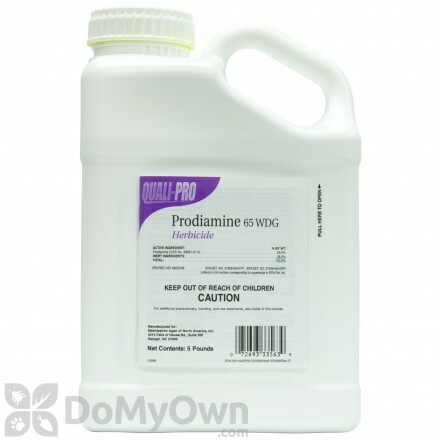 Prodiamine 65 WDG (Generic Barricade) - 5 lb.